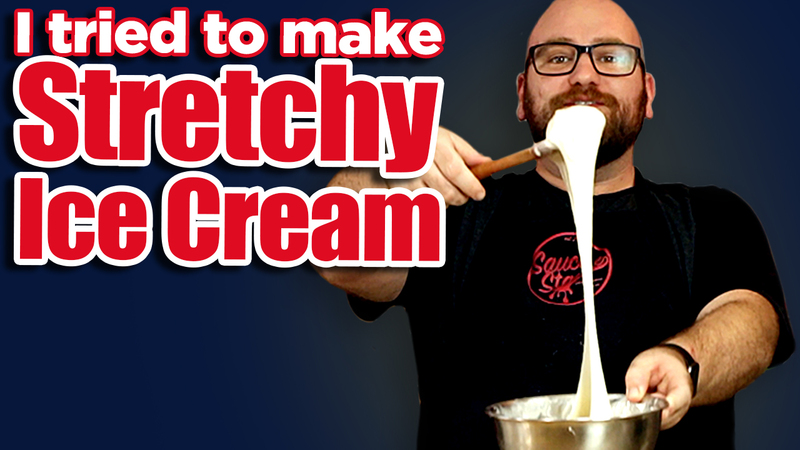 Lets see if I can make Stretchy Ice cream!! Now I didn’t make it using a 500-year-old technique like the Republic of Booza in Brooklyn, New York. But I did find out how to make stretchy ice cream from a recipe from students at NYU that studied the stretchy consistency of this Turkish ice cream. Stretchy ice cream goes by a few different names depending on where it is made. It is Booza or Maras Dondurma. The ice cream is made using a difficult to find ingredient Salep. Authentic real Salep is ground orchid root… its an interesting ingredient for sure! Now you can use a double bowl ice cream method or ice cream maker.